193 cm / 6 ft 3"
Hannes Þór Halldórsson was born on 27 April 1984 in Reykjavik, Grindavík, Iceland. Is an professional football player Who play for Randers FC and Iceland National Team as a goalkeeper. 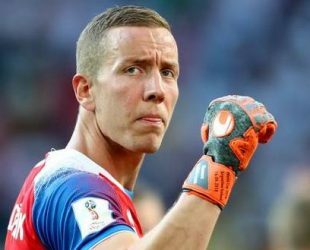 Hannes saved a penalty taken by Lionel Messi World Cup 2018 in Russia.